Whether you have just started cooking or are a long-time aficionado, the tools at your disposal should ideally be conducive to letting you fully express yourself. Grimy, stained gas cookers that you have to worry about thoroughly cleaning afterwards are nowhere near creating the environment to indulge your creative instincts. That is why you need one that is easy to use, good to look at and saves your time and energy. These days there are a wide range of designs, colours and types of gas burners available. From the old single-burner gas cooker, to the new-fangled, automatic, five-burner gas cookers, consumers are truly spoilt for choice. There are generally three types of cookers -- electric cookers, gas cookers and dual fuel burners. In Bangladesh, we usually use gas cookers in most households, gas being a fuel of relative abundance. Gas cookers are national favourites for more reasons than the comparative widespread availability of the fuel we use. In addition, gas burners allow precision in cooking. Double gas burners with a grill option have become less expensive in recent years and have thus become a popular choice. Shops nowadays stock an excellent variety of options that include built-in, range, or freestanding stoves with different exterior finishes like stainless steel, granite and marble with burners, hobs, grills, rotisseries, etc. The single-burner gas stove is highly economical and these are available with high quality brass burners. The fine finish and fuel efficient feature add to the safety and cost-effectiveness of the burner. Bismillah, the local brand, sells single-burner gas cookers at Tk450. Other local companies like National, RFL and Rangs have prices ranging from Tk600 to Tk1150. Manual two-burner gas stoves like Bismillah, Swan and Raj are priced between Tk750 and Tk1700. Foreign brands like Miyako, Noka and National have two-burner, gas cookers ranging from Tk1600 to Tk14000. Japanese Electra Moon is priced at Tk2000, Luyang at Tk2400, JCL (Japan) automatic gas cookers with two-burners at Tk4500 and Hoston (Italy) double-burners will cost Tk12500. You can buy a three-burner cooker for about Tk3000 to Tk15000. A comprehensive range of three-burner gas stoves are available in elegant designs and heavy, stainless steel bodies, with designer jets to save gas, tri pin brass burners, aluminium mixing tubes, detachable drip trays and high thermal efficiency. Four-burner gas cookers, like Magic, made in India, cost around Tk19000 and Rinnai Tk6000. A glass-top cooker is not only beautiful but also functional. The Miyako glass-top gas stove is from Malaysia and priced at Tk6000. This gas cooker is versatile, practical and also comes with a 5-year guarantee. A gas cooker is a vital piece of equipment. A contemporary kitchen must shun the traditional gas stoves that turn greasy and are an eyesore, and instead opt for more versatile equipments that not only look the part but are also rather functional. Be it two-burners or five-burners or two-burners with grills, each gas cooker should look hygienic and add to the positive ambiance of the kitchen. They are the backbone of any party, big or small. They are the unseen hands that help keep your refrigerator stocked. They are the secret ingredients of your success when hosting unannounced guests, who are not the house-elves from Harry Potter but your true friends in need -- caterers. The catering industry here has evolved into a sophisticated sector in the last few years. The traditional major caterers providing services only at weddings have now branched out to cover corporate events, work lunches and even smaller family get-togethers such as birthdays, anniversaries and so on. 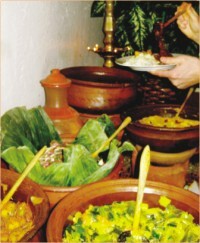 The menu has grown from offering the typical pulao, biryani to full-fledged continental cuisines. Corporate caterers have made a grand entrance into the industry, making not only the food but also serving it with special attention to presentation. Sharply dressed and well-trained waiters are provided by this unique brand of caterers, who take unto themselves all other responsibilities of creating the perfect formal environment at a corporate event. It is the other offshoot of the industry, however, that is more encouraging for the common people, particularly womenfolk. Personal catering is a new concept where a housewife, skilled in the art of cooking, accommodates orders for snacks such as samosas, rolls etc. The snacks are delivered in a frozen state to be quickly prepared by the customers when those unannounced guests arrive in large numbers. This service has not only provided many housewives a way to earn a living while staying home and indulging in their favourite pastime, but has also helped out the fast, increasing number of working women in keeping their families well fed. Personal catering, although, is still an unorganised sector of the industry. The caterers market their services via word of mouth and operate from their personal kitchens. They are mostly sole proprietors without any intention to expand. Few of the more entrepreneurial women have formed organisations such as 'Apan Ghar' (Dhanmondi #27), but even there, personal catering is a small part of the total business. With the fast changing lifestyle of urban families, this industry has enormous opportunities of diversification and growth. Cooking is a socially acceptable and encouraged hobby for housewives and turning that into a money-making venture can be a lucrative money-making enterprise. The industry is still young and ripe for experimentation. Even without being much of an ardent TV geek, one is bound to notice the increasingly plentiful number of cooking shows that are being broadcast recently. Whether it is Nigella Express or Siddika Kabir's recipes, these shows somehow manage to attract keen eyes, something that speaks of the indomitable role food plays in the Bangladeshi culture. We all love food, irrespective of whether we know how to cook it, and not all of us are blessed enough to be naturally good at it. Help is sometimes required and hence comes the role that cookbooks play in our daily lives. It is not just about watching Top Chef or Master Chef at home. It is about the succour and sustenance that comes through trying your hand at it. You might not be as polished a cook as your mother, but you can always try to be one. Today's supersonic pace calls for express solutions, and this is where cookbooks can be useful. While Siddiqa Kabir and Keka Ferdousi are regular household names, renowned international chefs like Kylie Kwong, Anthony Bourdain and Nigella Lawson have also joined the list of our favourites, thanks to satellite cable. So now you know exactly where to go if you require a recipe book. Choose one from the list and try skimming through the recipes. Be prepared to want to try your hand at cooking! Imagine this: it has been a long day at work and late in the evening you feel the urge to have a cup of mint tea. You drag yourself to the kitchen to brew that very special cup. But before that you head to the rooftop to pick the mint leaves from you own garden. Making your own cup of tea is relaxing as it is, and preparing it using your home-grown herbs makes the experience a little more fulfilling. Maintaining a rooftop garden may not be the most popular of activities but it's slowly catching up. All kinds of herbs are now available in the market both in their dried and fresh forms but growing them in your balcony, rooftop or garden adds a special touch to the entire art of cooking. Saplings can be found at nurseries and many roadside stands. They are easy to grow, and do not need a lot of space. Moreover, they thrive on just about any type of soil. By planting herbs that are most often used in cooking, you can pick what you need all summer. For this you simply need to pay attention to a few minor details that are explained below by Rokeya Begum, sub-assistant officer of Horticulture Centre, Gulshan. Saplings of mint, basil and lemongrass are available at Tk 10 and other plants like celery, parsley, etc are available only by order. Sunlight is very important to the growth of herbs. If you have an indoor herbs garden, make sure they are placed near windows that allow direct sunlight for five or six hours of the day. Whether you have an outdoor garden or an indoor one, good air circulation and drainage are essential for herbs. When choosing containers or pots, make sure there are holes on the bottom to allow for sufficient drainage of the water. Know the heights of the herbs you are planting, because, the containers have to be large enough to enable growth. The herbs can be planted in small containers but once they start to outgrow it, it is time to transfer. Weeding and harvesting are also important. Herbs have the finest flavour when harvested in the morning. The plants should be trimmed once in a week. 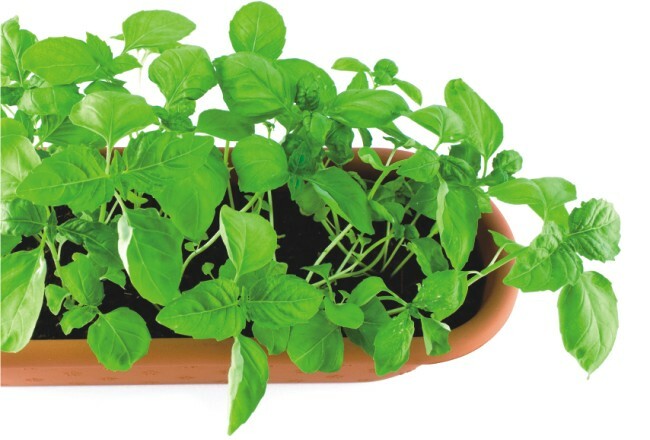 Plant only one variety of herbs in one container and leave off about eighteen inches space between each sapling to give them room to spread and grow. Pots should move into the shade when it's too hot and into the sun again as the season progresses and sunny areas become overshadowed. It is a good idea to cut flower heads off the plants because allowing the plants to flower can make the herb leaves scattered. Unless you are growing for seeds, cut any flower heads off. Periodic fertilisation, yearly re-potting, regular watering and occasional pruning is all you need to do to maintain your herb garden. Plants for the month May are coriander as it is delicate and needs protection from the wind, but it can grow up to 2 feet; fenugreek, grow it in full sun in slightly acidic soil with compost. Parsley is winter herb and this plant lives for almost two years. Replant every spring for the best results. Mint is another well-used herb and it's easy to grow anywhere, as long as it is kept moist. But know this; mint can overrun your garden. Pruning is necessary for any variety; do this when you harvest or when you cut back to get rid of the flowers. Do this at the end of the growing season. Herbs are some of the most important ingredients of food. Without them, cooking would lose its flavours and be ordinary and bland. The combinations are endless and the outcome delicious. Sometimes some recipe calls for a certain herb that we don't have it on hand. You can substitute it with another. Like basil can be used instead of oregano and thyme or parsley is the substitution of cilantro or sage is used when you don't have savoury, marjoram or rosemary and chervil is substitution of parsley or tarragon. In our country, we get oregano in instant dry powder form and used mostly in pizzas, pastas, salads and sauces. Cooking with fresh parsley enhances taste of most meat, poultry, fish, eggs, salads and vegetables dishes. Celery is usually eaten raw in salads or cooked as a vegetable. Coriander often called 'Chinese parsley' or 'cilantro'. Coriander and mint are both used for curries and salads. Thyme, paprika and rosemary are also available in instant dry powder in Bangladesh. Cooking with rosemary can be done in meat dishes, soups, marinades, seafood or you can make rosemary tea. You can use dried thyme ground powder to season meat, poultry and fish. The bay leaves have a mild taste and give their best flavour when dried. The bay leaves can be used in curries, soups and stews. Parprika has a sweet to hot and bitter flavour that is used in savoury dishes. Star anise has the wonderful aroma and is perfect for flavoring biryani's and other non-vegetarian dishes. According to traders at New Market, parsley and celery are available only on order. If somebody orders these herbs, they bring them from Kashimpur in Gazipur district. Parsley and celery are selling at Tk 20-30 per stick at Gulshan Market and Karwan Bazaar Kacha Bazar, whereas chive is available at Tk 20 per stick. Curry leaves are available at Tk 150 per Kilogram and basil is at Tk. 10 per stick in Gulshan #1 Market. Chinese ginger costs Tk90 per kilogram. A kilogram of lemongrass in most city markets costs about Tk170. The price of cilantro is Tk60 per kilogram and mint is Tk50 per kilogram. The price range for dried herbs like paprika, parsley, oregano, thyme, basil and rosemary are Tk50 to Tk120, depending on quantity. Bay leaf is available at Tk30 for hundred grams, whereas fresh basil is selling for Tk60 per kg at bazaars. One can get these herbs in super stores and kacha bazaar of New Market, Karwan Bazar and Gulshan#1. Herb prices typically rise as it is often a supply, season and demand issue.